I just finished a new website devoted to the Indian Rock Art found near Moab, Utah. The Home Page at MoabRockart.com includes a story about author and naturalist Craig Childs, as he leads a writers group up Seven Mile Canyon during the Confluence Celebration 2008. · The website also includes a two-part article about Native American rock art along Mill Creek, in Moab, Utah. · The News Page there allows visitors to see the top news stories regarding the current Utah Artifact Theft Case. During my August 2009 visit to Moab, I repaired or replaced several of our old webcams with higher quality Logitech, International. units. Currently, we have three live webcam feeds from Highway 191 South, at the Moab Rim CamPark. Additionally, Moab Ranch has a live webcam feed from the Pueblo Verde Tract in the Spanish Valley. 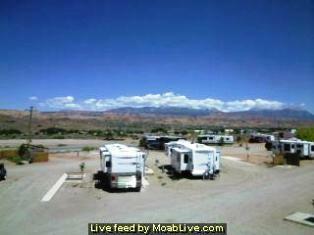 To review all of our webcam feeds, go to the MoabLive.com Webcam Page. There you will see live webcams from Downtown Moab to the Spanish Valley. Currently, we have two webcam systems that are tested and ready for deployment in Moab. 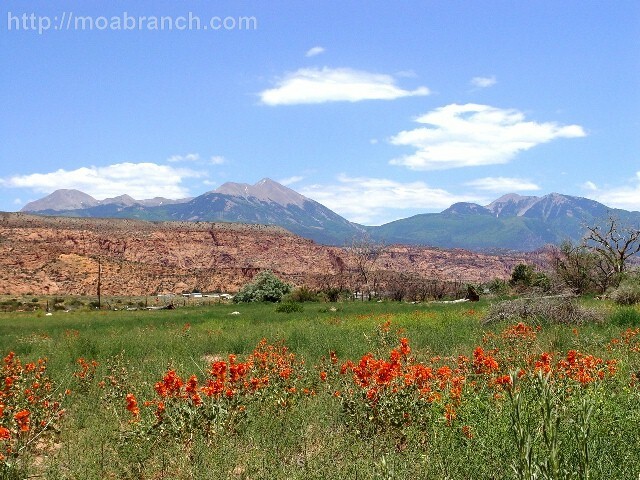 If you live in the area and have a business and a great view; let us talk about a shared feed through MoabLive.com. We are actively looking for business partners and will lease an entire system on an annual basis or barter our webcam placement for your services in return. 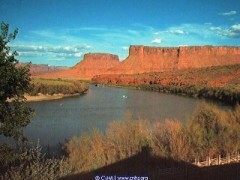 We shall be in Moab in early October 2009, so if you are interested, please contact us soon. While in discussion with Michele Hill, newly appointed Facility and Event Promoter at the Moab Area Travel Council, (developing conference and event planning for Moab), we mentioned how fun it was travel throughout the West and always be able to see four live views of Moab. Apparently, we made it sound like the sole purpose of the Moab webcams was for personal pleasure. In explaining that we sometimes succumb to hyperbole, we told Michelle that our writer hero is Samuel Clemens (Mark Twain). Known during his lifetime as an American prophet and a humor writer, Mark Twain enjoyed making up his own version of any facts that were not readily at hand. From our place of understanding, one of the most popular searches on the internet is for webcams that are local to the searcher’s point of interest. 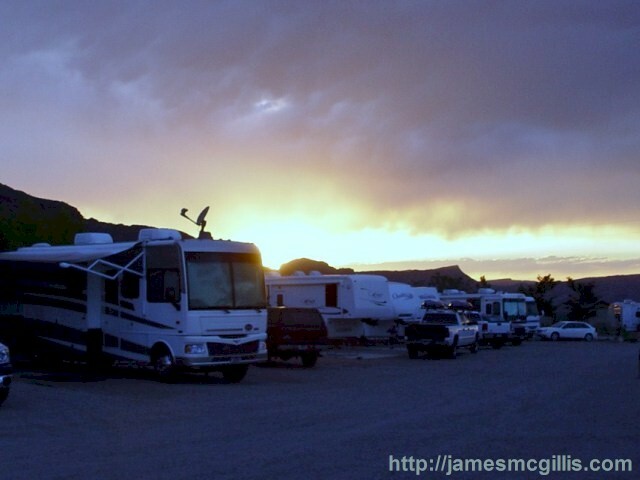 Believing in that theory and believing in the beauty of the land, sky and weather around Moab, we launched our first webcam in October 2008, at the Moab Rim RV CamPark. There, it stands today. Over the past year, we had our share of webcam failures. From power failures to hardware and software glitches, we experienced it all. 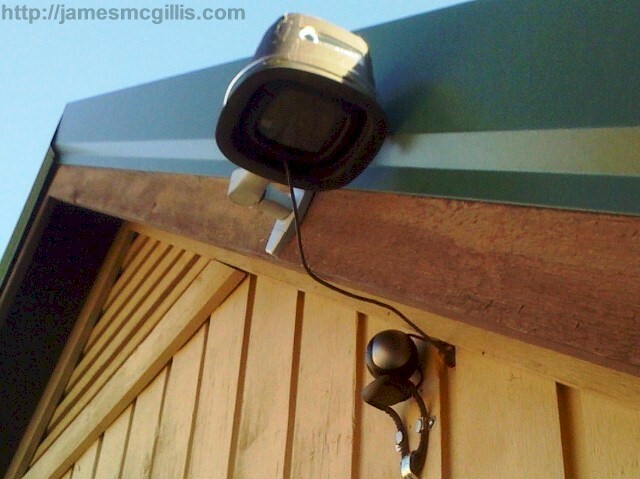 Since early August 2009, all four webcam systems have operated flawlessly. In our case, “flawlessly” means that from time to time, individual frames may drop out. Using a cable modem or DSL at the head-end of our systems, available bandwidth does not allow for an infallible feed. More costly, dedicated bandwidth would solve that issue. As of August 2009, we are proud to say that no other organization has more live webcams streaming from Moab and the Spanish Valley. 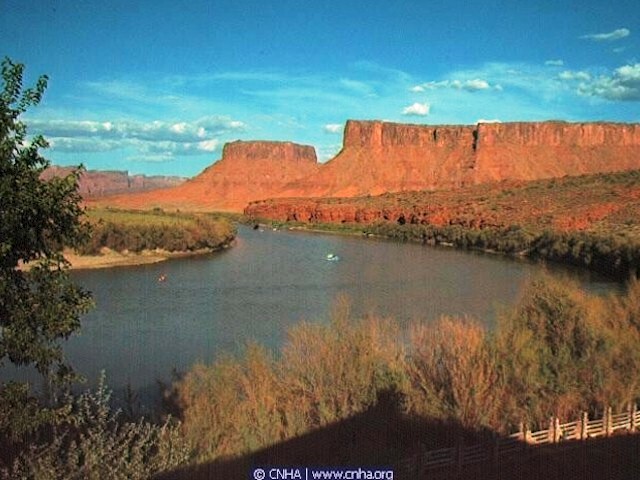 Here, we tip our hat to Red Cliffs Lodge for their pioneering webcam work along the Colorado River. Although their Colorado River webcam is reliable, the MoabLive webcams refresh every three seconds, rather than every three minutes. We see a future in which almost every business in Moab will have at least one webcam. By offering MoabLive, and in color to the world, interest in tourism surely would grow. How could any distant viewer resist the beauty that we see each day, around Moab and the Spanish Valley? Currently we are in Simi Valley, California, writing and developing new webcam systems. 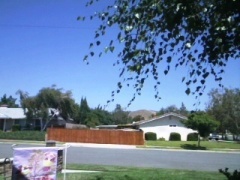 To view our current test, look at CasaCarrieCam, live from Simi Valley. In early October 2009, we will return to Moab, for both business and pleasure. While there, we will cover the 24-Hours of Moab Bicycle Race. While the race is on, we will post an updated article on our blog. If you go to Moab24Live.com, you will see our coverage of last year’s race. 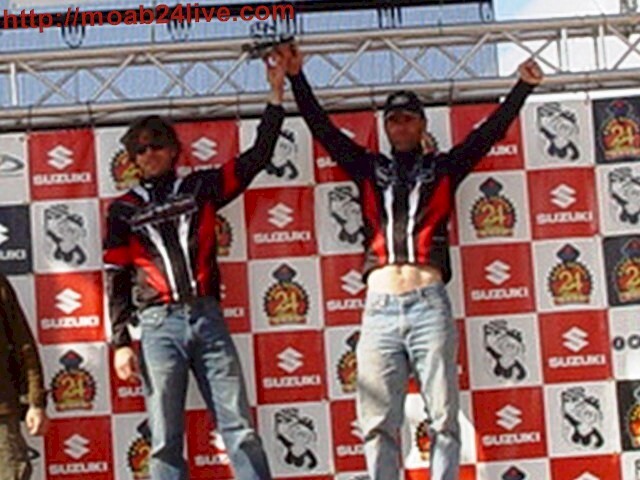 In October 2008, we followed Dax & Dean of Team Shake & Bake. From prerace to podium, we covered their first-in-class victory. This year, we have agreed to cooperate further, reporting their story through the written word, still images and video. Dax has assured me that he and partner, Dean will win their class again in 2009. With proper exposure, this race could have enormous TV appeal. Couch potatoes all over the country would like to be riding free in the wind, as Dax & Dean shall for the 24 Hours at Moab. The race starts at Noon, local time on Saturday, October 10. The race will conclude at Noon on Sunday, October 11, 2009, with award ceremonies to follow.